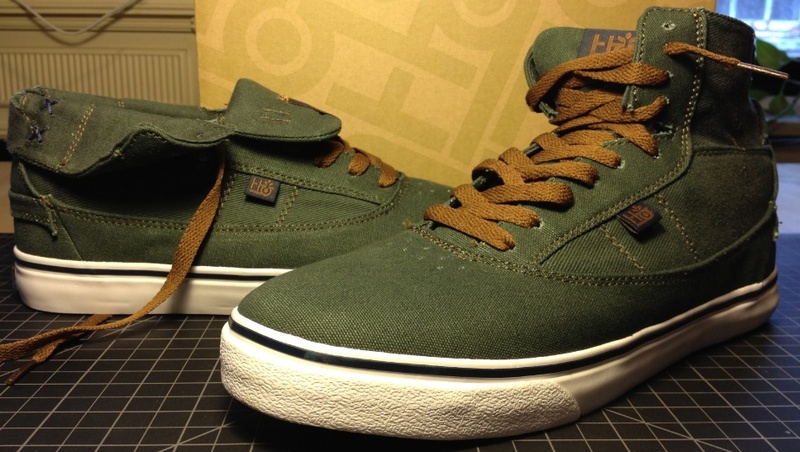 After three seasons of the Guru Hi, Habitat Footwear has made this unique hi-top convertible in a Vegan colorway. 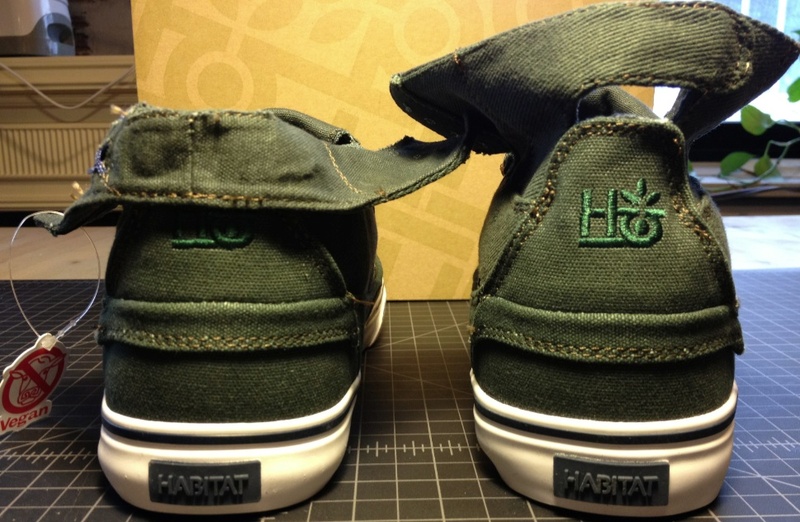 Habitat sent us a pair for skate review, so before the shredding begins we’ll take a good look at the all the angles and inter-workings. Looks are deceptive with this one. The shoe is in many ways a very basic thin canvas skateboard shoe. 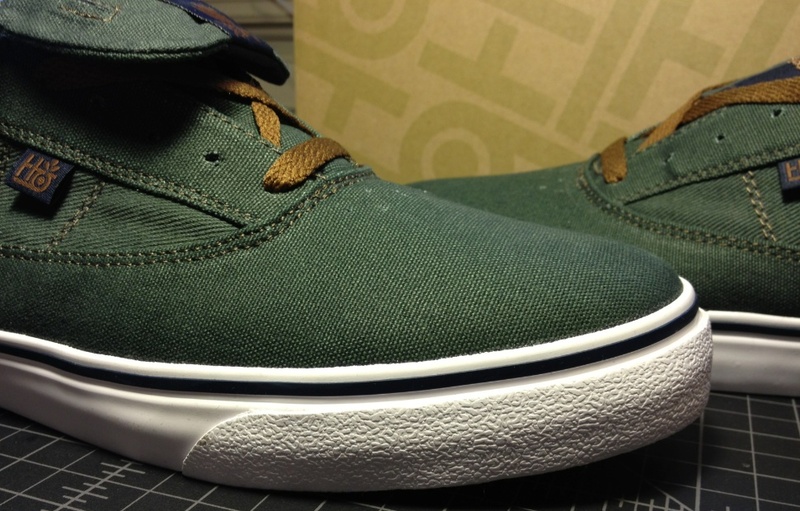 However the configuration of the flaps and lacing can change up the feel and style of how you skate. The tongues are folded into the shoe here. A good look with the Guru lotus label and if you want a little more padding in the tongue keep them in this position when lacing up. 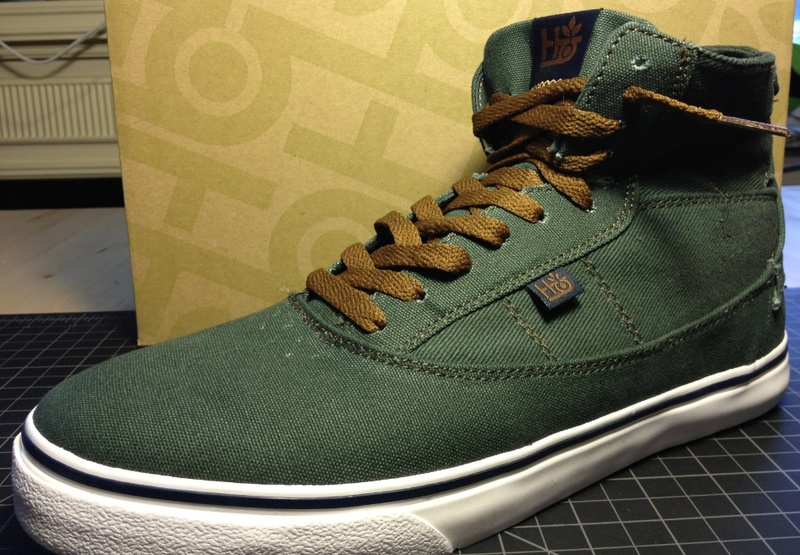 The bronze detail and lacing contrast the upper well, but forest green laces are included. Flip the shoes around and you can see right through the high-top wrap concept. The shoe has a good stiff heal but can fold down in a snap. If you pull the shoe up you have classic hi-top look with out the bulk. Side by side, both shoes look great no matter how you where them, however when trying on the shoes I found it helpful to fold out the shoe and take the laces out of the top eyelets. If you want to go high, get your feet in the shoe first. 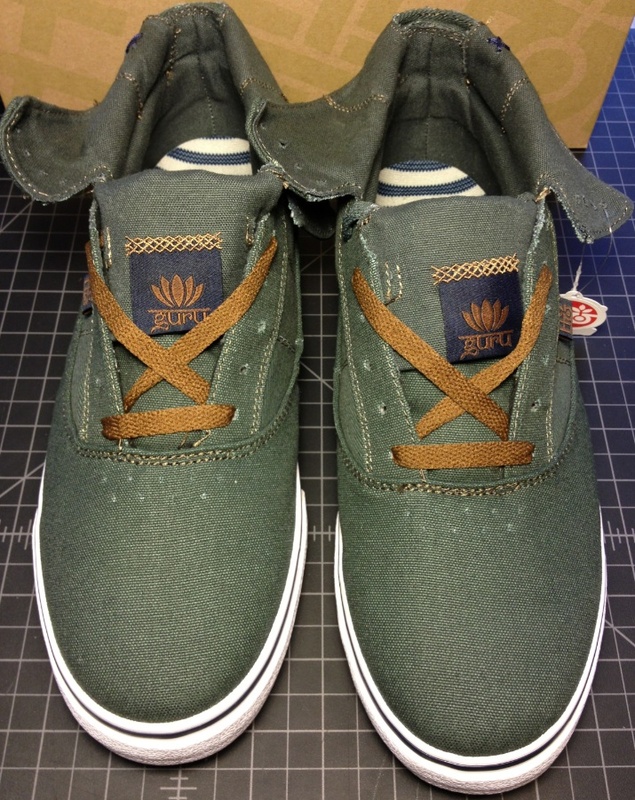 The vulcanized sole looks stable with some added chunk to the foxing tape with a natural overlay pattern. 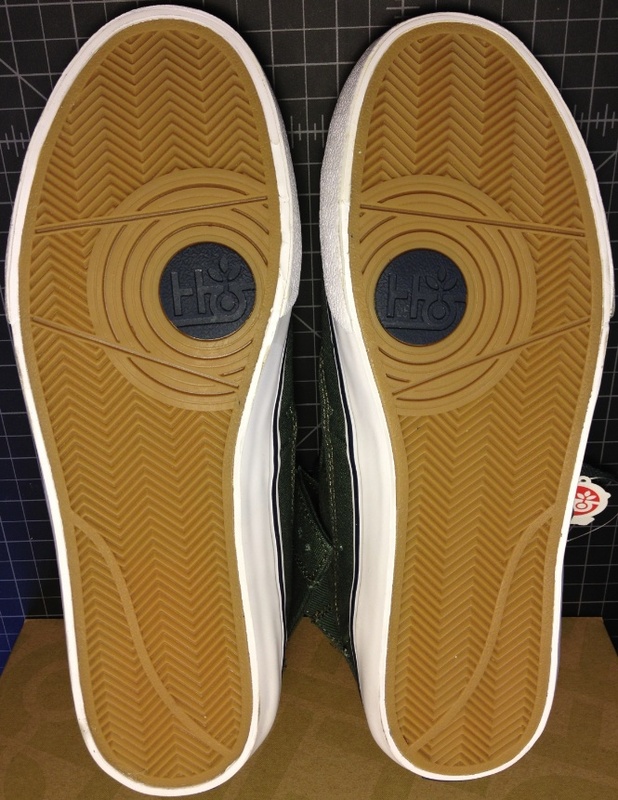 The smooth toe cap sinks into place almost like a cup sole. 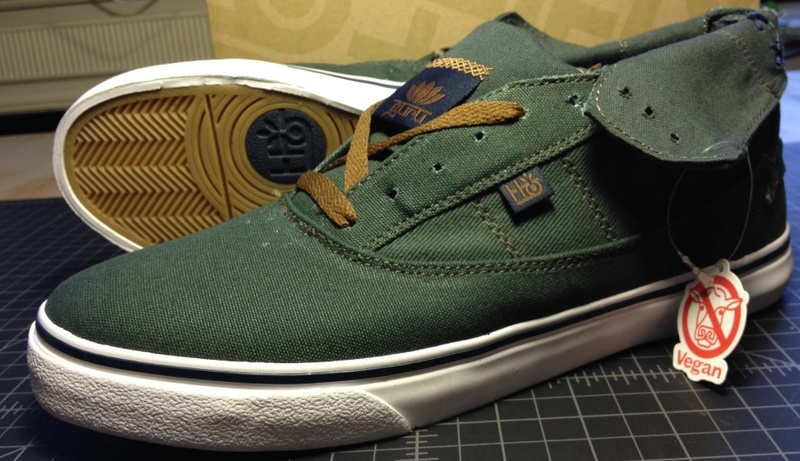 The Vulcanized soles feature a rounded hot spot. I could never tell if this was that great of a design feature or not. It seems like having a different texture may help reduce the balding of the sole. The treads are certainly deeper then previous seasons of the Habitat shoe line which should add to the skate life of the shoe. Guru Khalsa is actually of German decent. He just so happened to grow up in India and even the styling of the sole inserts bring the South Asian flair. 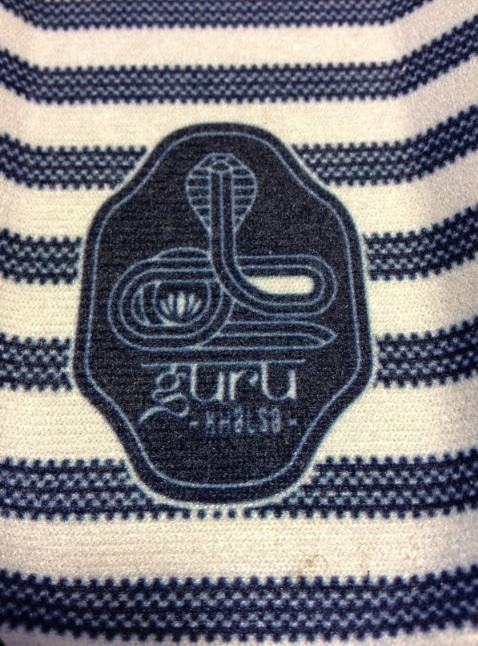 The natural off-white and deep blue along with the Guru Cobra icon make me want to go ride the Darjeeling Limited. Check out the pt. 2 of this review, here! 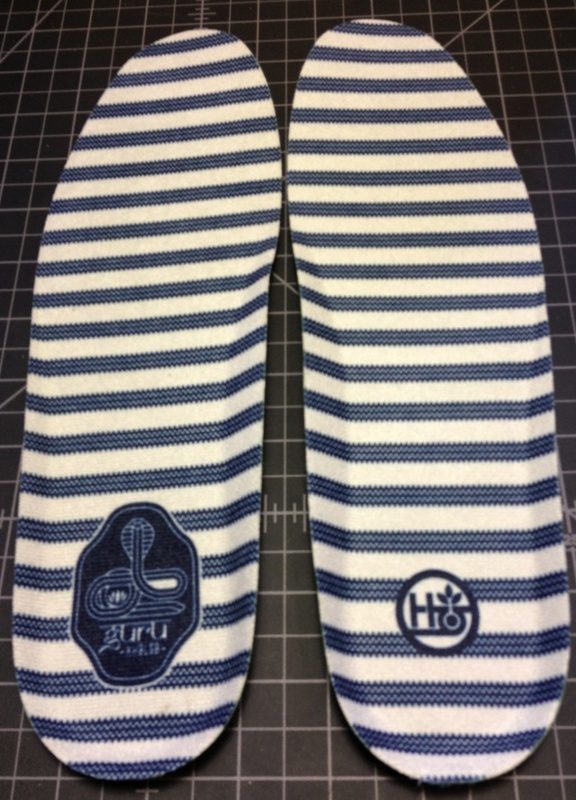 These look rad. I have almost purchased 3 pairs of habitats before but never committed. I am curious to see how they hold up. I always loved habitats look and design. Great wes anderson reference by the way.